When two people choose to join together in marriage, it’s a personal and precious decision. I craft weddings that are just as personal. Every aspect — language, readings, music, rituals and symbolism — reflects who you are and the bond you share. 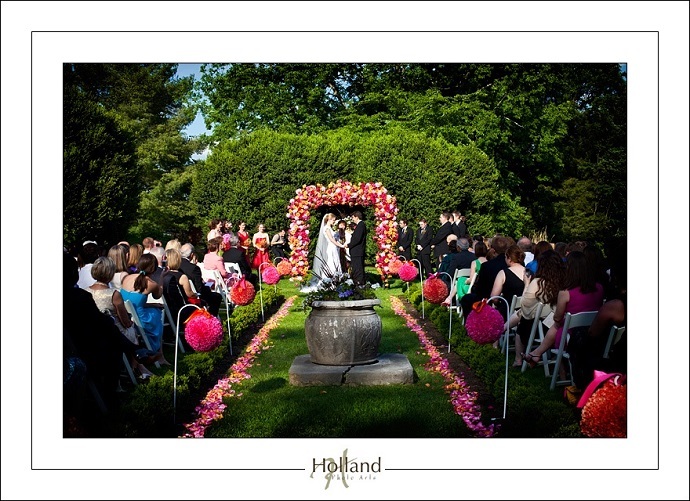 The wedding ceremony unfolds as an authentic expression of your personalities and your values. A meaningful wedding lays the foundation for your future. You and your guests will remember it for a lifetime. I am, A.C. Warden, a Celebrant and Interfaith Minister. I’m excited to create new ceremonial expressions and to adapt old ones in new ways for you. I have helped rock climbers, musicians, actors, cooks, gardeners and scientists create weddings that are true expressions of their personalities and beliefs. Interfaith weddings I am an Interfaith Minister and have experience with most world religions including Christianity, Judaism, Islam, Buddhism, Hinduism, Shinto, Confucianism and many earth-based religions including Wiccan. 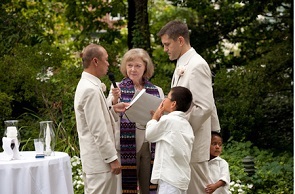 We can find many ways to honor both of you and your individual beliefs throughout your ceremony. Your wedding can embrace your differences as well as your similarities. Non-Religious Weddings According to the Pew Research Center, a growing number of Americans do not characterize themselves as religious (22.8% in 2012). That doesn’t mean they don’t have spiritual beliefs. This is true for many of the couples I work with. 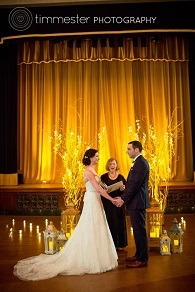 Your wedding ceremony can emphasize your personal values while emphasizing your family and community connections. Multi-Cultural Weddings In our fast-paced global society, couples from a variety of backgrounds are falling in love and marrying. I have worked with couples from Asia to Africa and the Middle East as well as North and South America, Australia and Europe and combinations of all. I draw on my knowledge of the rich wedding customs from all over the world (such as Hand-Fasting, Tea Ceremonies, the Seven Steps, the Arras, or Jumping the Broom) to create meaningful multi-cultural weddings. I can help you choose the right music, songs and readings, whether your taste is traditional, contemporary, or unique to you. Blended Families Of the 50% of couples who marry more than once, many already have families. 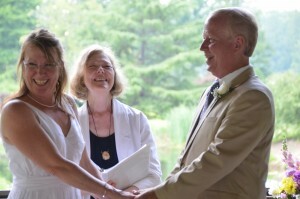 Let me help you create a special wedding ceremony that also celebrates your blended family. I love finding special ways to include your children no matter their ages. This is a great opportunity to include everyone and begin building your brand new, bigger, family together. Vow-renewals take many forms. You may have been married for 20 years and want to celebrate your bond with your family and friends. You may be newly-weds who eloped and are now ready to host that big celebration (I call these “Blessing Ceremonies”). It’s a time for you to publicly declare your love and commitment so all your loved ones can show their support for your marriage. Vow Renewals look very similar to wedding ceremonies and I can help you shape one that truly expresses your relationship as well as your community of family and friends. Elopements Many couples come to DC, MD and VA just to get married. It’s a beautiful area and rich with history. Maybe you’re in the military or foreign service and want to get married before you’re deployed. Maybe you work at the World Bank or an Embassy located in DC. Maybe you don’t have time to put together a big celebration. I have worked with couples from all over the country and all over the world. You might be coming here alone or with a couple family members and friends. I can help you with your marriage license and even suggest some locations in and around the DC area. Contact Me so I can help you make your special day even more special.